I am rebuilding road network on Rusmap, mainly rebuilding interchanges and modifying highways to real number of lanes. In one download link is Promods version, in another is non-Promods version. – Interchange between M18 and road Kirovsk-Shlisselburg is rebuilt. 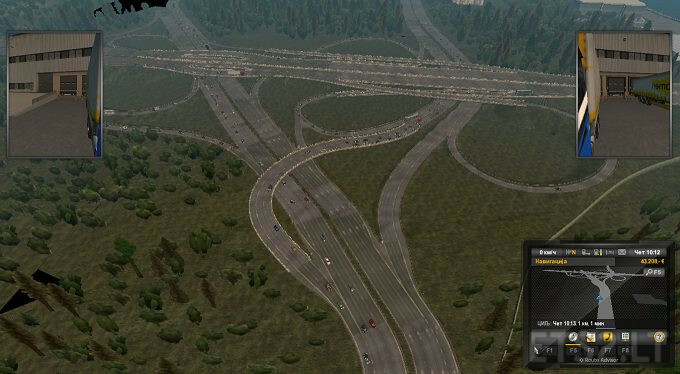 – I rebult total 32 interchanges and built 26 new, including replaced crossroads. About 18 ohter interchanes are sheduled for rebuilding. It crashes. Can you give an order?